One of the concerns for those seeking assisted living services is how to pay for the costs associated with this type of living arrangement. Many families and individuals aren’t aware of benefits offered by the Department of Veterans Affairs called the Aid and Attendance. This benefit is also known as A&A and can be used to cover assisted living expenses for qualifying veterans and their surviving spouses. This benefit is not dependent upon service-related injuries for compensation and is actually a tax-free benefit that many veterans and surviving spouses qualify to receive. 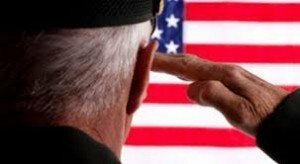 According to the Veteran’s Administration as of December 12, 2012, veterans are eligible for up to $1,732 per month, while a surviving spouse is eligible for up to $1,113 per month. A veteran with a spouse is eligible for up to $2,054 per month and a veteran with a sick spouse is eligible for up to $1,360 per month. Contacting a local VA to verify current Aid and Attendance monthly payments is advised or asking a specialist with expertise helping families obtain this benefit. There is also a new online source of help produced by the US Department of Veteran Affairs which offers information about health care, life insurance, disability compensation and much more. The Peninsula regularly hosts seminars with guest speakers to help educate families about veterans’ benefits. Our knowledgeable staff is also available to help you learn more about how these benefits are used to defray costs. Don’t miss out on the opportunity to take advantage of these benefits that can ease the financial worries of getting your loved one the comfortable and competent care they deserve.